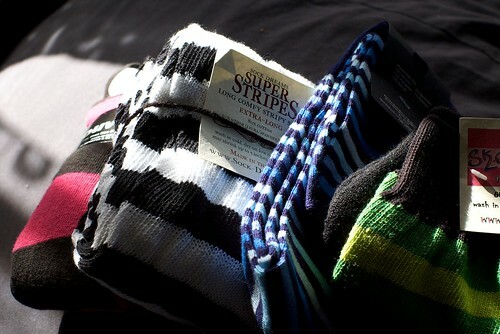 SockDreams delivers!, originally uploaded by nicoletbn. I’ve been hearing about SockDreams for ages. Cute socks, colorful socks, long socks, decent prices. Finally I’ve placed my order, and 36 hours later my socks arrived. Nice job, guys! What pleasing colors, stacked all in a line. I’m wearing the green ones today. This entry was posted in Photos by nicoles. Bookmark the permalink.